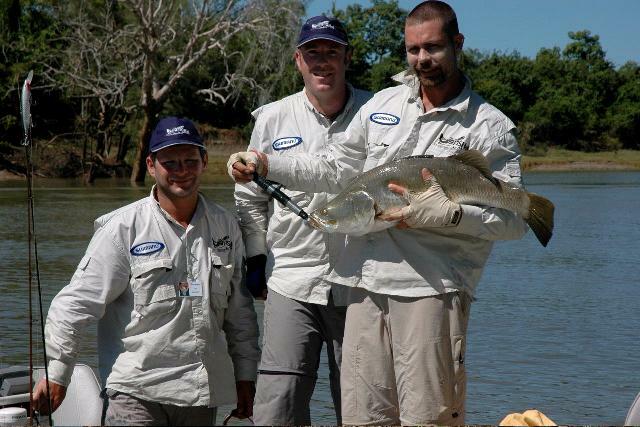 Barra Nationals 2010 – May 3 to May 9 2010- The Barra Nationals, run every April by the Palmerston Game Fishing Club is Australia’s biggest and most well renowned Barramundi Fishing Competition. Having fished this particular competition five times now, I still say it is the best week of the year. The event is held on the Daly River about 300kms from Darwin at the peak of the Barramundi season during the start of the annual dry season. Each team comprises three entrants and fishing occurs over a full week from sun up to 5pm. Fish are scored on length and all catches are released after measuring. One of the best parts associated with fishing in this competition is the experience and knowledge of many entrants. 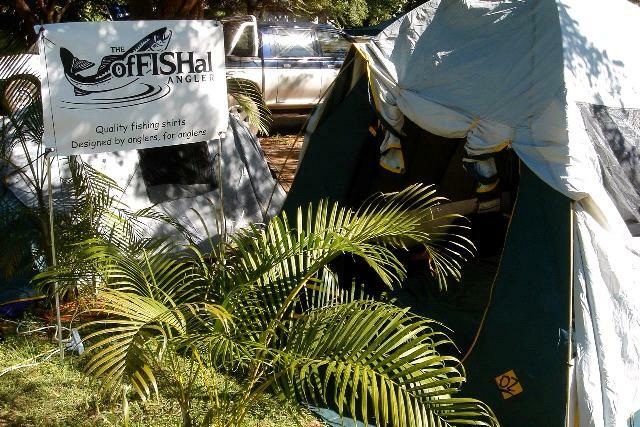 Some of the competitors have fished the Daly River for 30+ years or work with fishing charter companies who also know the river like the back of their hand. The actual fishing limits are broad so despite the large number of boats (up to 50 some years) entered, there is always a place to fish. Some of the more popular stretches of water tend to get quite busy, but that doesn’t seem to limit the chances of hooking a decent Barramundi. 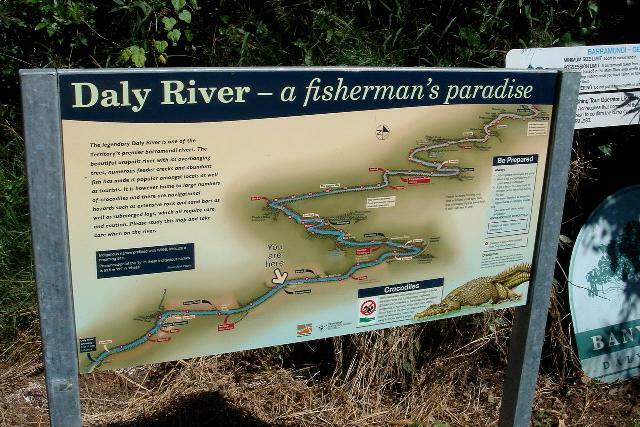 Every year the Daly River produced a fish well over the meter mark, and in the context of the Barra Nationals, this means big points and more often than not, daily prizes. The Barra Nationals is more than just a fishing competition, it is the chance to camp out with your mates for a week, eat great food, have a few beers and try your luck at winning some great prizes. At the end of each fishing day there is a range of after dinner entertainment to keep everyone amused and inevitably, every day some sort of story from the water gets told in ever exaggerated language. Every entrant receives a bag of goodies prior to the first competition day and this always includes some of the most successful lures used on the Daly River, and a great range of other fishing necessities. Competition line is standard, and strict equipment and landing net regulations are enforced by the roaming marshals. 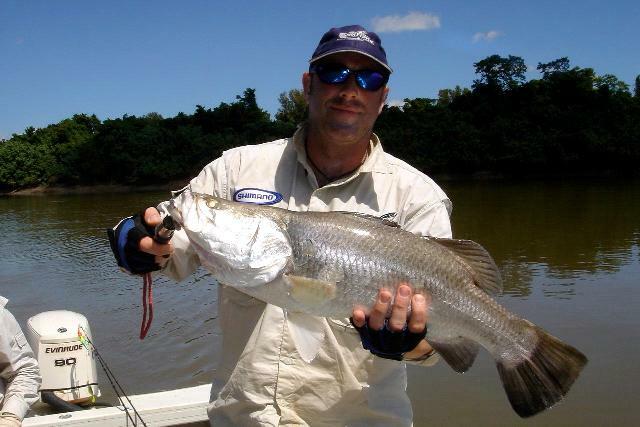 Fishing on the Daly River is not confined to the Barra Nationals week and many of the fishing charter operators listed on Fishing Charter Base provide fishing charter services on the Daly River. This is truly one of the most magnificent rivers in Australia and is well supported by several camping grounds and cabins. Tight lines!